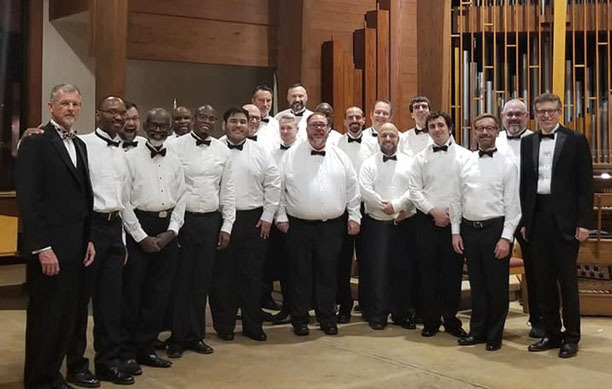 The Triangle Gay Men's Chorus invites male singers of all orientations, backgrounds and various vocal ranges to join us for our upcoming spring concert season. Come be a part of an exciting collaboration performance with three other N.C. choruses, celebrating the 50th anniversary of the Stonewall Uprising, planned for late Spring. For more information, contact Ty Howard at president@tgmchorus.org. Rehearsals take place in the choir room. Entrance is in the rear of the church right next to the playground. Ring the buzzer and someone will let you in. The choir room is the last room on the right at the end of the hallway.